Althea is 17 and has always known that her job is to marry into money. They live in a derelict castle built by her eccentric grandfather, who unfortunately, used most of the family fortune to finance his folly. Her father is dead and gone, as is her stepfather. Her stepsisters can occasionally be prevailed upon to dip into their own inheritances for the family good, as long as "family good" is shorthand for "fixing something that annoys them personally." We just got back from a lovely little trip to see family in Utah. As expected, I had quite a bit of time to read in the evenings. Now I need to get caught up on my reviews! One of the books I read on our trip, A Brief History of Montmaray, was all about some girls living in an old, derelict castle. It sparked a memory of other books I have read with similar settings. When I got home, I looked them up on Goodreads. Sure enough, the settings were remarkably similar. Do 3 books constitute a genre? If so, I give you the "Girls in Old Castles" genre. Enjoy! 4 stars: Great setting with engaging characters. A bit slow to get started, but by the end I couldn't put it down! Sophie FitzOsborne is a princess, in a manner of speaking. 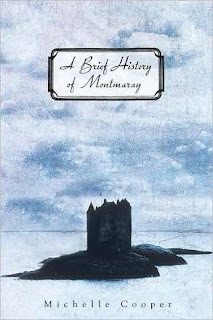 Her family's kingdom, the Island of Montmaray, is a tiny speck out in the middle of the Bay of Biscay; 200 miles from Spain or Portugal. At the moment, she lives in the castle with her cousin Veronica, her mad uncle (the King), the surly housekeeper Rebecca, and younger sister Henry. The villagers have all but left completely. Currently, there are 4. Her older brother Toby--the crown prince--is off in England at school, paid for by wealthy Aunt Charlotte. While they are not beggars yet, things have certainly been better for the FitzOsborne family. The castle is crumbling, and they spend a surprising amount of time finding things to eat. 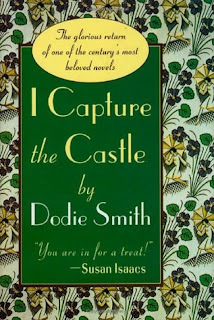 Veronica is busy writing the royal history, so when Sophie receives a journal for her sixteenth birthday, (this is 1936), she decides to keep a history of her own. At first there's not much to write about: her pathetic obsession (could it be love?!!) with Simon, the housekeeper's son. Problems with Henry, who will be obstinate, never listens, and is half-feral. Her recurring nightmare. The weather. The rest of the villagers leaving the island. Then a boat lands on their shore, and two men get out. They are German. Though isolated, the girls have heard about the political tensions brewing in Europe. They know that this landing does not bode well. One of the men acts very suspiciously; the other is more friendly. They come to realize that at least one of the men is an German SS agent. Then something horrible happens. With no help available until they can flag down a passing ship, Sophie and Veronica realize that they will have to get through this by themselves. Somehow. What they don't realize is the repercussions their choices will have for themselves and their entire [tiny] kingdom. Of the 3 books reviewed here, this one was my favorite. Content clean, for the most part. I actually can't remember if there were language problems or not, so if there were it must have been few and far between. A bit of homosexual innuendo between Simon and Toby, with Sophie wondering about it, but it doesn't go any further than that. Also, some off-screen violence and blood. 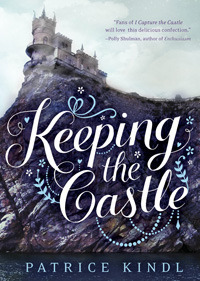 3 stars: Quirky family + castle + romance. Good overall, but the ending was not my favorite. Cassandra and her family are poverty-stricken, mostly due to their father's depression and subsequent inability to write another bestseller. They live in a castle, rented when times were flush. Then a new family moves in (happens to be the landlords of the castle), with not one, but two eligible bachelors. There may be light at the end of the tunnel after all! Finally got around to reading this one. It's only been several months since we discussed it in book club. I enjoyed the writing style and the story overall. For all the build up and description of Cassandra's romance, it seemed the ending was a bit abrupt. I could see how it would be possible for her to have matured to the point where she could do what she did at the end, but there's not much support for it in the story. p.s. The scene where they went swimming in the moat at night--kind of gave me the willies just thinking about it, if you want to know the truth. Pond-scummy water with who knows what lurking about in the depths and it's night so you can't see it anyway. Yuck. I think it was supposed to be romantic--night swimming scenes generally are--but I couldn't get past the setting. Content: This one does have some language. 3 stars: A different take on Cinderella, with a bit of Pride and Prejudice thrown in as well. I think you can probably see where this is heading. Although predictable, the journey along the way was enjoyable. Loosely based on the Cinderella story.